Item # 302647 Stash Points: 2,399 (?) This is the number of points you get in The Zumiez Stash for purchasing this item. Stash points are redeemable for exclusive rewards only available to Zumiez Stash members. To redeem your points check out the rewards catalog on thestash.zumiez.com. 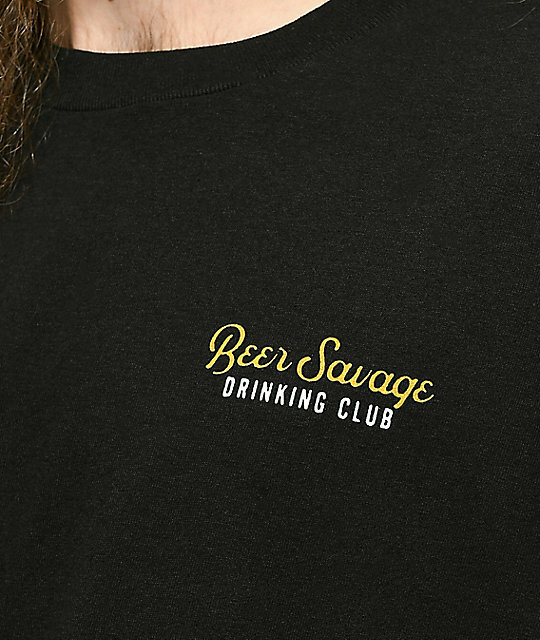 Let your troubles melt away in the Sip Back Relax shirt from Beer Savage. 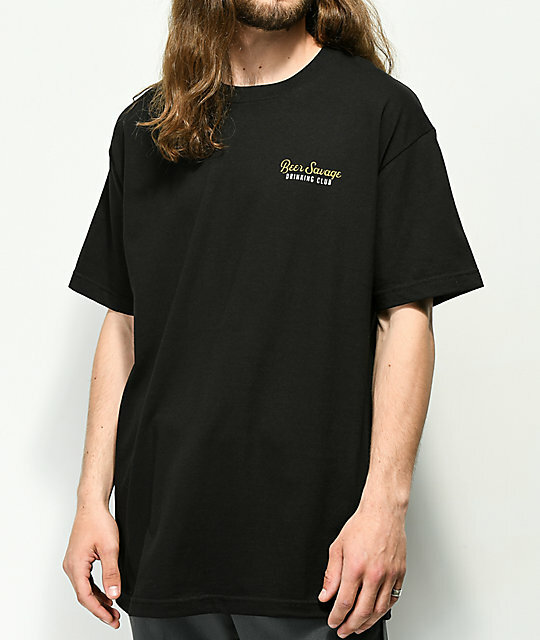 This black, 100% cotton short sleeve tee shirt features the Beer Savage name at the left chest in gold while the back showcases the biggest mug of frothy beer you've ever seen with a lady skeleton sitting in the top with "Sip Back Relax" text above. 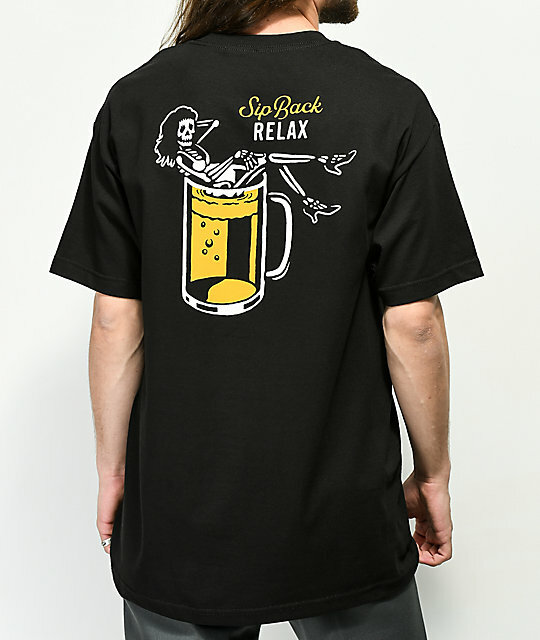 Sip Back Relax Black T-Shirt from Beer Savage.